The starry sky with blurred motion colorful clouds and bright moonlight. 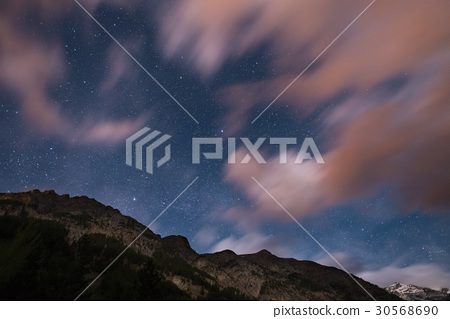 Expansive night landscape in the European Alps. Vega Star center frame.